It’s a hassle dealing with maxed out space on your iPhone or iPad. Deleting files is time consuming, and upgrading internal storage is costly. That’s why the iKlips Dual Interface Drive is handy: It lets you easily add up to 128 GB to any of your iOS devices. For a limited time, you can get the iKlips for as low as $55, courtesy of TNW Deals. Simply plug the iKlips’ Lightning connector to your iOS device, and you’re good to go. You’ll be able to store and access files on your iKlips, and easily manage them using a companion app. Plus, you’re able to easily access those files on any connected device of your choice. 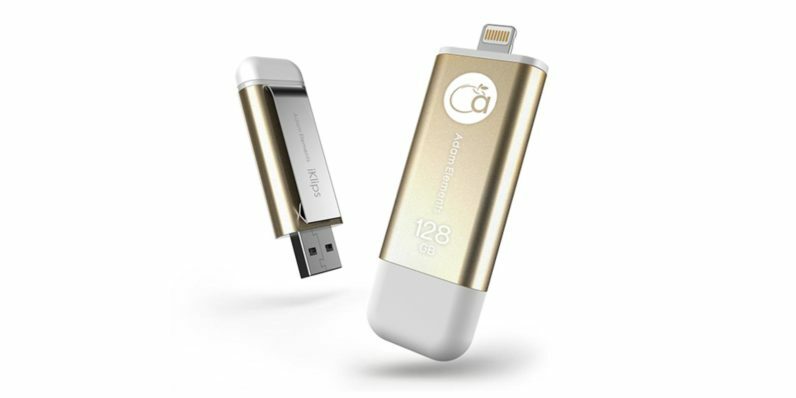 The iKlips is also compatible with PC and Mac devices, and can be used as a standard flash drive thanks to the USB connector on its opposite end. Get the iKlips Dual-Interface Drive for $55 for the 32GB option, $71 for the 64 GB option, and $135 for the 128 GB option. All are available for 20 percent off the retail price from TNW Deals. Be sure to choose your preferred color and storage options on the deal page.